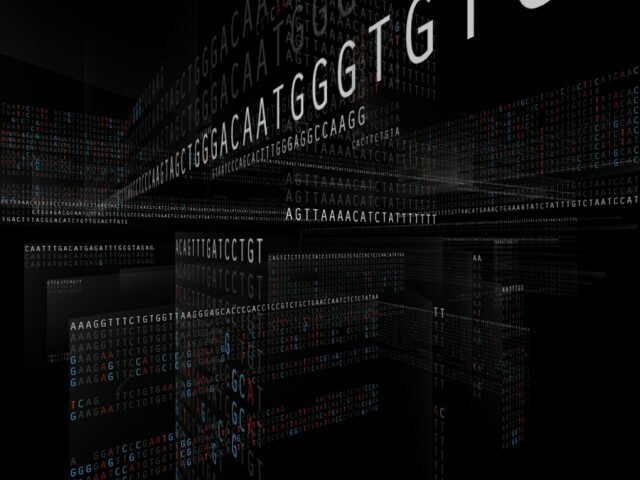 I admire the simplicity and starkness of this visualization that boils down our existence to the core truth in our DNA. It is interesting to note the visually different patterns throughout the sequential evolutionary distances, and proves how similar we are to other mammals. I think this interactive sculpture called Unnumbered Sparks(2014) put together by Janet Echelman and Aaron Koblin is absolutely stunning. What I admire most about this work is that it does not only visualize data to form incredibly beautiful patterns, but also continuously collect new data from visitors and simultaneously change its appearance according to it. Surprisingly, this entire project was built in Google Chrome with several web technologies. The sculpture itself is actually a web browser, and the lighting on it is a full screen Chrome window composed with more than 10 million pixels. Also, by using WebSockets, it allows the instantaneous collection of location data from a Smartphone/tablet devise to be later translated into visualization. One of my earliest introductions at CMU to new media art (specifically mixing technology and social art) was when I had the pleasure of attending Lauren McCarthy’s seminar. At the time I had heard many things about Lauren as our artist in residency but was still utterly blown away with her work after attending her talk. Lauren has done countless amounts of different phenomenal projects with some of the best serving as great examples of information visualization and data collecting in art. While Facebook Mood Manipulator, CrowdPilot, and Social Turkers were all good examples of art projects which require information visualization and data collection the two projects that best stand out in my mind are pplkpr and us+ . Both of these projects serve to aid people in social scenarios or situations by analyzing either their pulse (like in pplkpr) or their facial expressions (like in us+) to read their current emotions and visualize the data to help the user. As comical as these projects are, they are a fantastic example of how artist require and implement things such as data visualization into experiences all of the time. The artists I chose to examine this week are Fernanda Viegas and Martin Wattenberg, whose work seems largely to revolve around generating images from sets of given data for either an aesthetically-pleasing or informative design. In particular, I chose to view a project titled “Dictionary” which analyzes both the etymology and use over time for a variety of words and generates minimalistic flow charts or diagrams to display the data. While the purpose of such a program may seem fairly dull in comparison to work that employs a wider range of visual elements, I find it particularly interesting as someone who is interested in etymology and linguistics on the side, and it is nice to know that such topics have a place in digitally-created artwork. I assume that the artist (whose project can be viewed on the site, here) took information from Google dictionary and used it in arrays to define the characteristics of the graphics seen as a part of “Dictionary”. 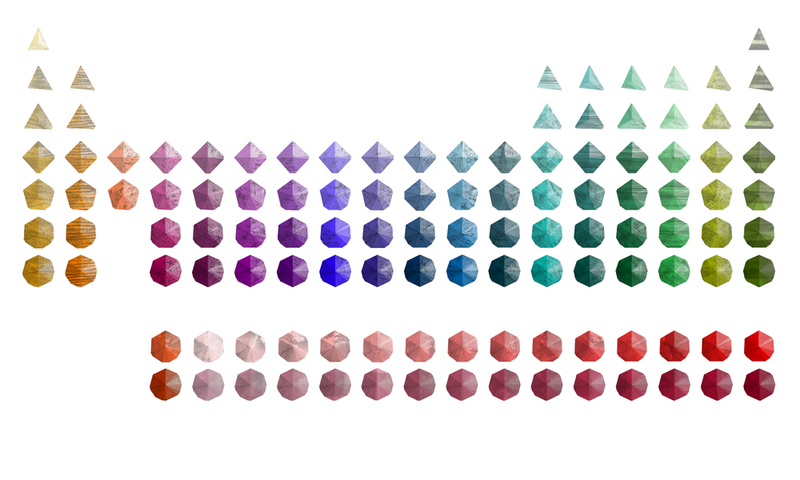 In Stefanie Posavec’s project, A Reimagined Periodic Table, she uses 3D shapes, handmade textures, and colors to make an icon to represent each element. To make the shapes, Posavec counted an element’s electron shells – the more electron shells there are, the more sides there are (for example, the shape for the last element in the table, Nobelium). The colors change depending on the group the element is in. The darker the color is, the heavier the weight of the element is. The textures on the shapes change depending on what table series it’s in. This is a very cool project, because someone will be able to easily discern about each element from just a glance because how she chose to represent each trait about each element makes sense (such as making the color darker if the element is heavier). Stefanie Posavec’s data visualization projects often deal with the physicality of the data she’s working with so it makes sense that A Reimagined Periodic Table would be part of her portfolio. 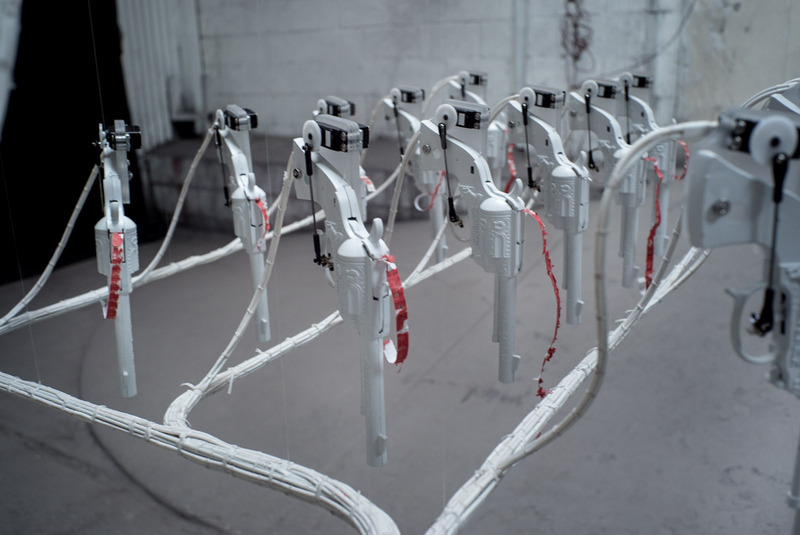 This project, Artificial Killing Machine, is an installation made up of toy cap guns that operates to simulate the amount of deaths due to U.S. military drone strikes. 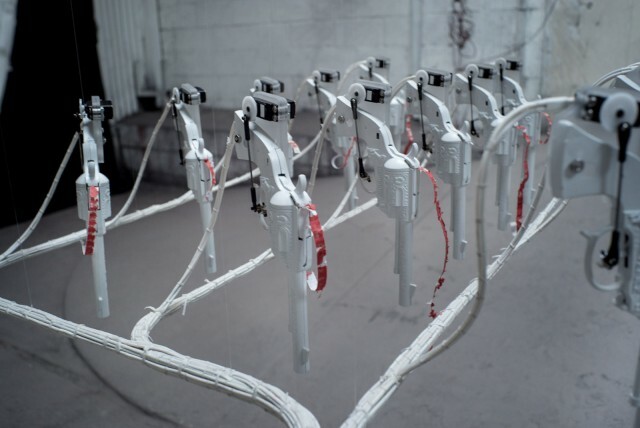 It is an autonomous mechanical system connected to the public database on U.S. military drone strikes so that the machine can activate and fire a cap gun for every death resulting from each strike. 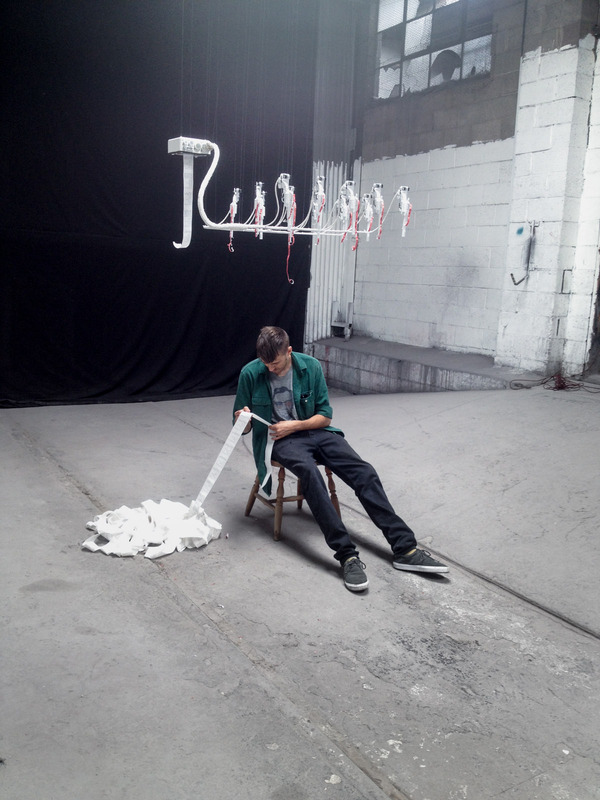 There is a single chair for viewers to sit in and printed information from the data that accumulates perpetually so that the audience can visualize and experience the danger and uncertainty of the situation. I found this project fascinating because it aims to represent individuals as more than just statistical data. Its goal is to “make visible the invisible” and “reconnect that which has been lost” so that reported data doesn’t take away our connection to the humanity of those who fall victim to these attacks. I appreciate how the project makes use of materialized data controlled by a program to approach topics such as technology and war in such a way that promotes further exploration of human relationships. It seems to be successful in its attempt to allow perception of that which is concealed and to make more meaningful the effects of technology (through examples such as drone strikes) on human life. Originally, I was going to post about Stefanie Posavec-she’s a UK based designer who has made lots of work with data projects that involve language, literature and science while illustrating for various books and exhibiting at the MoMa…like HOW COOL IS THAT? That’s what I wanna be in a couple years…maybe…but, after looking at her weather inspired necklace, I was reminded of another jewelry/data-informed project I heard about. 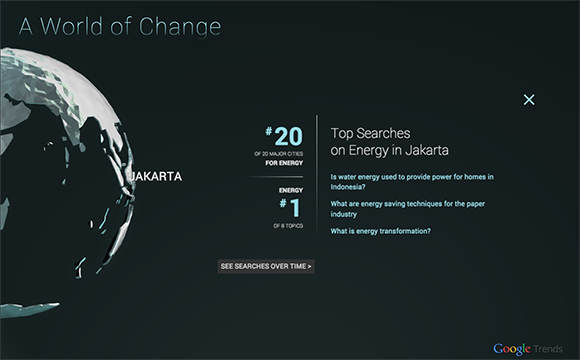 For this project I decided to look at the works of Pitch Interactive, in particular the project A World of Change for the client Google Trends. I thought this project was interesting because of it’s content mainly. As an individual who is interested in climate change and global warming and the environment etc, issues like these are on the forefront of my mind even though they are not present in my works. This project used data visualization in a pretty boring way however and not much was done with the data aside from plot it into a graph. This is one of my biggest issues with data visualization aside from the fact that I don’t really have much interest in what that is as a medium. 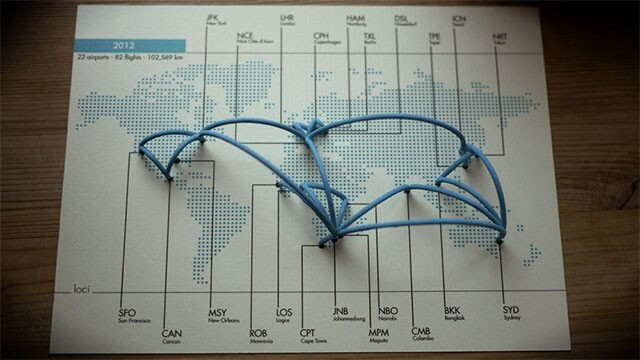 I would’ve loved to see a data visualization piece that took this data from really pressing physical issues that are impacting our world today and translated that data back into the physical in a way that was actually compelling. The data visualization could have been a part of this piece but I believe that there were many different ways to approach the idea. However, the content is still interesting so maybe it’s not so bad. 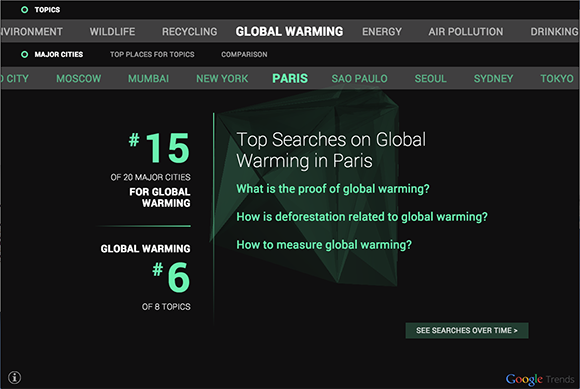 There was more to the project aside from the graph however, and an interactive user interface does add for more possibilities for people to learn more about the impact of global warming and perhaps consider their own role in the issue. 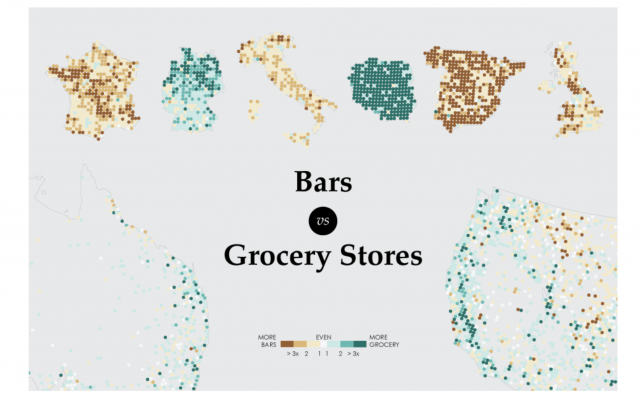 I find the project Bars vs Grocery Stores, fascinating. First of all, because it was an attempt to see if a previous statistic was actually correct. The creator, Nathan Yau, looked into the amount difference between Grocery Stores and Bars in areas, not only in the United States, but in several other countries. He tried to find a gradient between the values of the previous study, showing how sometimes the ration of bars to grocery stores is much more drastic than in other areas. I also admire that he looked into the other theories people had about the original data, and disproved them, showing that the areas in the United States didn’t have more bars because of more German and Polish immigrants, because in Poland and Germany, there are not nearly as many bars as grocery stores. One of the things I wonder though, is that did he only search on google for grocery stores, because maybe in Spain, Italy, and France, maybe they are called something different, or there are other specialty shops for food. 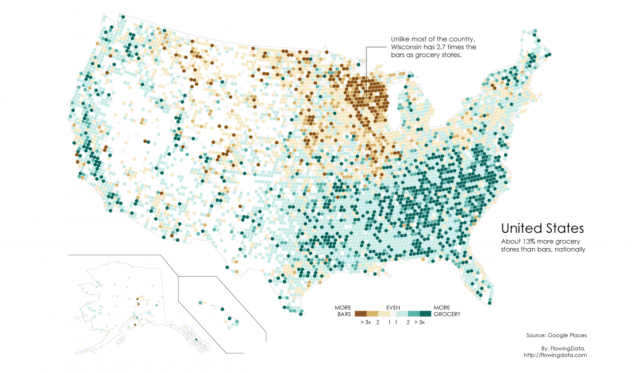 Either way, the artist created what he intended to, a map that showed the different degrees of grocery store to bar rates in America and elsewhere. He used colors that were easy to understand, and a gradient that showed a varied and a less binary visualization of data. Nathan used the newer data of Google Places API and scanned every 20 miles, in 10 mile radius’s for the ratio of grocery stores to bars, and had it generate on the map. He also calculated the percentages so that the graphics would be easy to digest quickly. I find the results to be very surprising and strange. It definitely gives you something to think about. 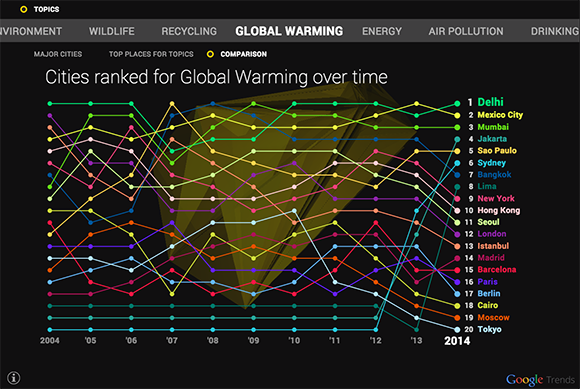 A visualization by Pitch Interactive (led by Wes Grubbs) particularly caught my attention. 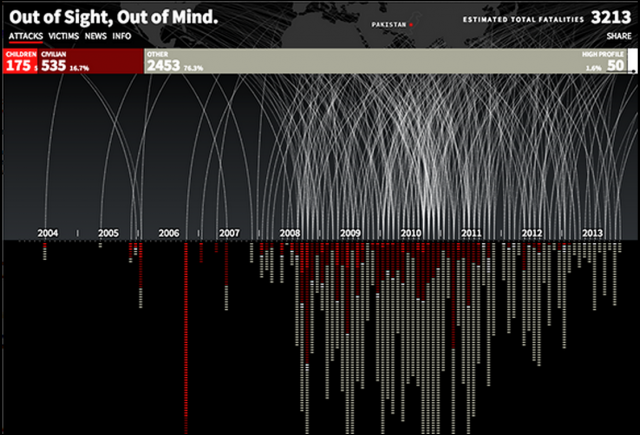 It’s called “Out of Sight, Out of Mind” and was made in 2013 with drone strike data. It shows with striking clarity the death tolls in a way that no list of numbers possibly could. I think the presentation is incredibly effective in not only communicating data but making us feel for it. This is an incredibly difficult task, but is likely done with the color palettes and graphic animations, in addition to the way the story plays out—slow at first, then faster and faster.